The criminal justice system is, thankfully, one that many of us never have to deal with. But too often, someone who has never dealt with it finds themselves charged with an offense. A frequent worry we hear is how getting convicted for the first time will ruin an otherwise spotless record. For many kinds of offenses, Virginia law gives those charged for the first time (first time offenders) with certain kinds of offenses a chance to keep their records clean. These include possessing some kinds of drugs, certain kinds of domestic violence, and possessing alcohol underage. 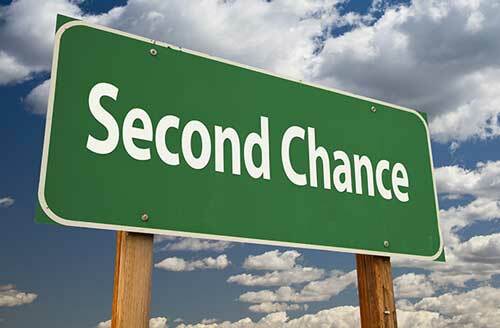 These kinds of second chances are frequently called a “deferred disposition.” Typically, the client will be responsible for completing community service, taking educational classes, making restitution to any victims, and not incurring any new arrests or convictions while they are on probation. They will then return to court at the end of the deferral and the court will then consider whether to dismiss the charge. But for many years, different prosecutors have had different opinions on whether they would defer disposition for offenses that do not have a specific law allowing it. These include shoplifting, writing a bad check, disorderly conduct, and misdemeanor frauds. Prosecutors understandably did not always feel as if they could defer disposition absent an explicit statute allowing them to do so. On November 9, 2018, Attorney General Mark Herring issued an opinion stating that he had concluded that—if the prosecution also agrees to do so—a court could defer disposition on other kinds of charges for which there is no explicit statute. Depending on the facts of a particular case, and how the circumstances can be presented to the prosecution, there are now a number of other offenses that our attorneys may be able to argue as being appropriate for a deferral. This makes having the right counsel—who understand prosecutors, their mindset, and the best approach to use with each individual one—critical to protecting your future. The consequences of a conviction on an otherwise clean record can be severe—loss of employment, failed background checks, losing the right to have a firearm, and effects on other matters, like child custody and visitation. If you have been charged with a crime in central Virginia, including Richmond, Chesterfield, Henrico, Hanover or the surrounding jurisdictions, and have questions about your options, please contact the criminal law attorneys at Winslow & McCurry, PLLC at (804) 423-1382.